Cider is fermented apple juice. Perry is fermented pear juice. There are two categories for cider and perry: Standard Cider and Perry (Category C1) and Specialty Cider and Perry (Category C2). 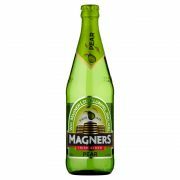 The Standard category covers ciders and perries made primarily or entirely from the juice of apples or pears (but not both at once). The only adjunct permitted in the Standard category, and only in some sub-categories, is a limited addition of sugar to achieve a suitable starting gravity or to raise sweetness post-fermentation. Note that honey is not a “sugar” for this purpose; a cider made with added honey must be entered either as a Specialty cider or as a Cyser under the appropriate mead sub-category. Other sugar sources that also add significant flavors (brown sugar, molasses) would also create a Specialty cider (such as New England style).